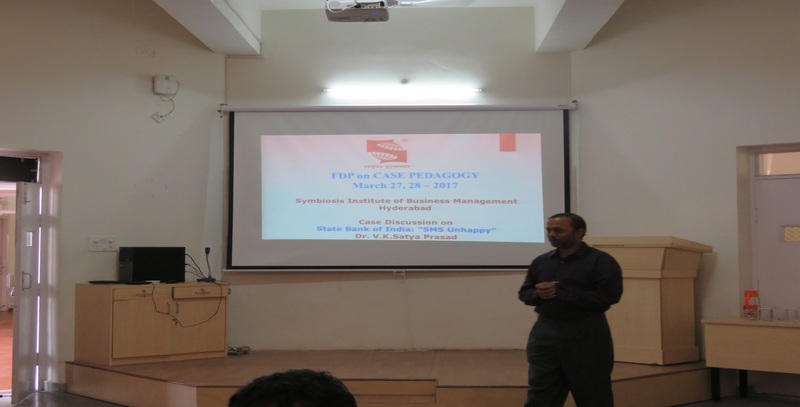 SIBM – Hyderabad organized a two day FDP on Case Pedagogy on March 27th and 28th, 2017. 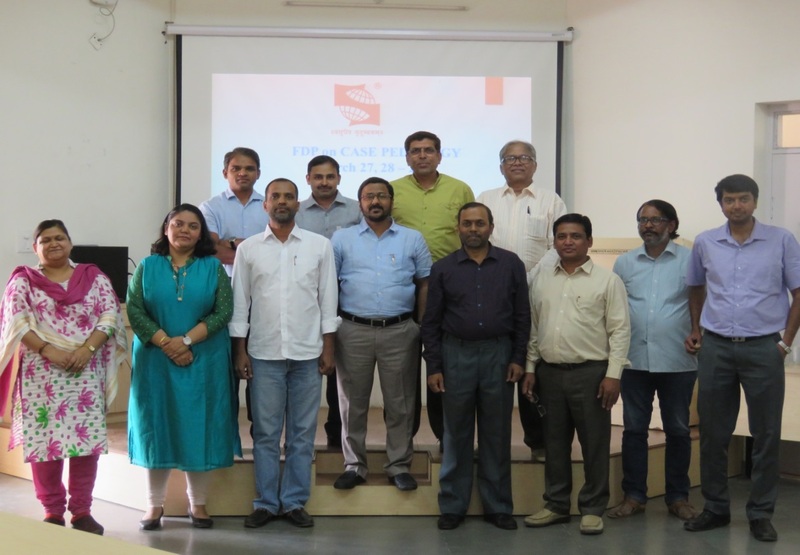 Dr. Saradhi Kumar Gonela and Dr. Satya Prasad VK were the resource persons for the FDP and was attended by all the faculty of SIBM – Hyderabad. 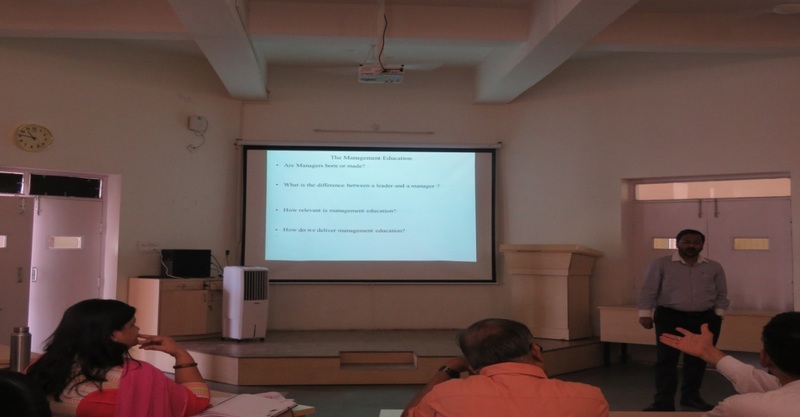 Dr. Ravi Kumar Jain, Director, SIBM – Hyderabad started the session on Day 1, by presenting the importance and brief history of case based teaching in management education. He has also shared his vision for the Department of Case Research and Publication. During his conversation with the audience, the director, emphasized how class room participation and learning could be enhanced using case studies that go a long way in shaping the future of a student as an efficient manager. In his interaction he offered to leave no stone unturned in the course of enabling the SIBMH Faculty members develop and deploy world class case studies. Director’s session was followed by the case orchestration session by Dr. Saradhi. The session focused on effective administration of case studies in classes. The session began by addressing various methods of ensuring student preparation and participation followed by necessary preparation from the teachers’ side. The session delved on the nuances of preparation to explore the case study, figuring out dilemmas and finding possible solutions through student’s participation. The session also focused on handling the class during the discussion to bring the best from the students by linking the theory from text book to facts given in the case study. Board management and time management were of special mention during the session. The first session on Day 2 was handled by Dr. Satya Prasad VK, moderating a case study discussion. The session was intended to provide a firsthand experience of case study administration. The faculty members were the participants in the discussion, doubling up for a typical class room scenario. Enthusiastic participation of the faculty allowed dissecting the case study thread bare to look deeper into the insights and to arrive at meaningful learning outcomes at the end of the discussion. In the process, faculty members were sensitized to class room management, emphasizing the learning from the previous day. Final session was freewheeling encouraging the faculty to discuss various facets of case discussion, student participation, time management, marrying text book theory to case scenario, encouraging critical thinking and challenging the possible solutions. 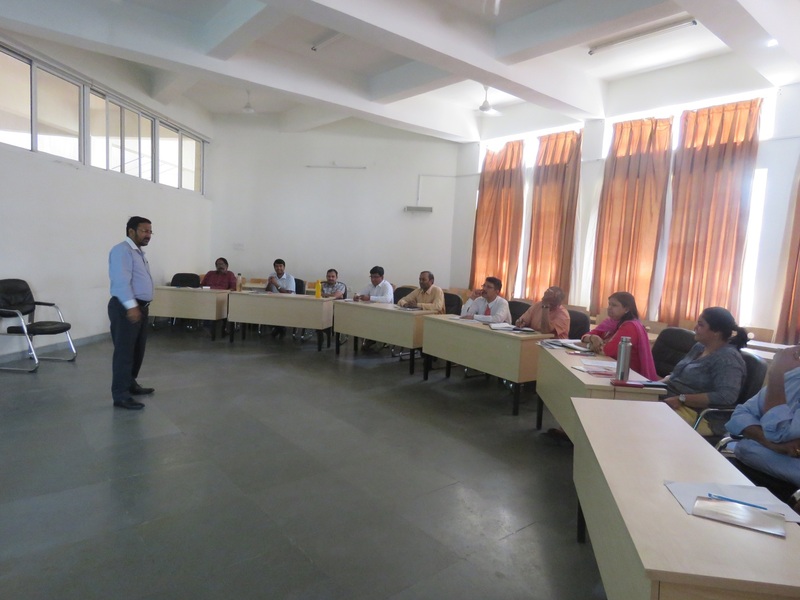 Faculty members had queries pertaining to different dimensions of case discussion, which were addressed by Dr. Ravi Kumar Jain, Dr. Saradhi and Dr. Satya Prasad.